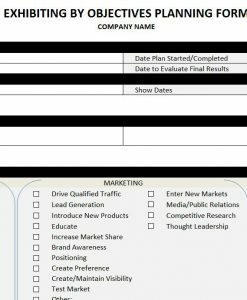 It’s hard to improve what is not measured. 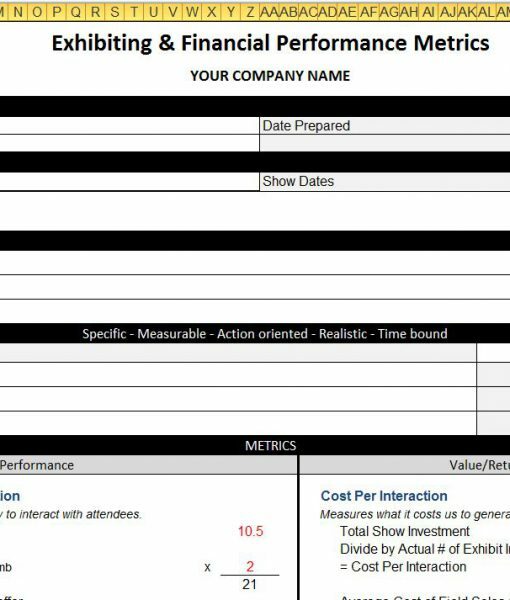 Take control and improve your exhibiting performance and ROI by utilizing this exhibiting and financial performance measurement tool. 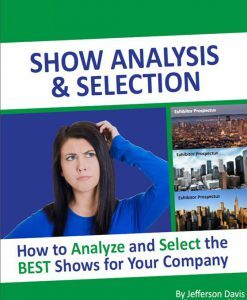 Implementing a tradeshow measurement process helps you assess and improve overall exhibit performance, calculate where and how you are getting value, cost-justify the investment, and prove ROI. 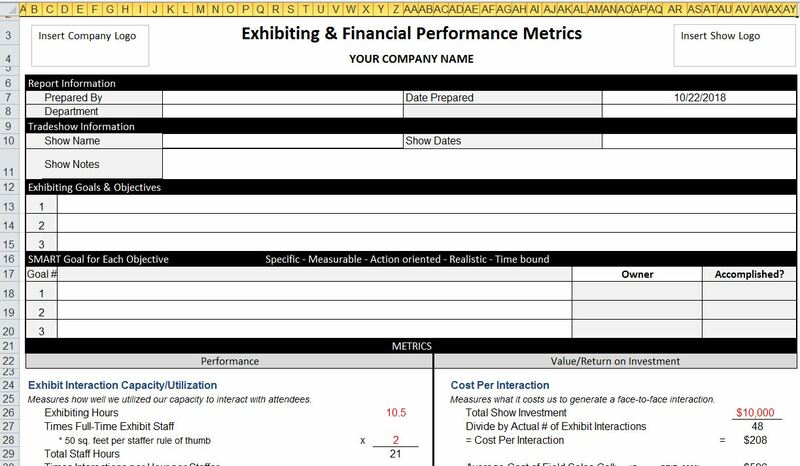 Included is a complete template spreadsheet with four exhibit performance metrics and five financial metrics. 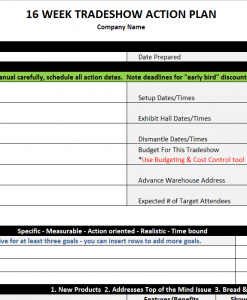 The spreadsheet is fully customizable so you can add additional metrics applicable to your organization. 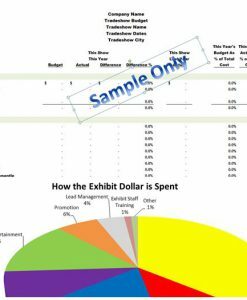 And best of all,when you enter your numbers, it creates a dashboard summary!